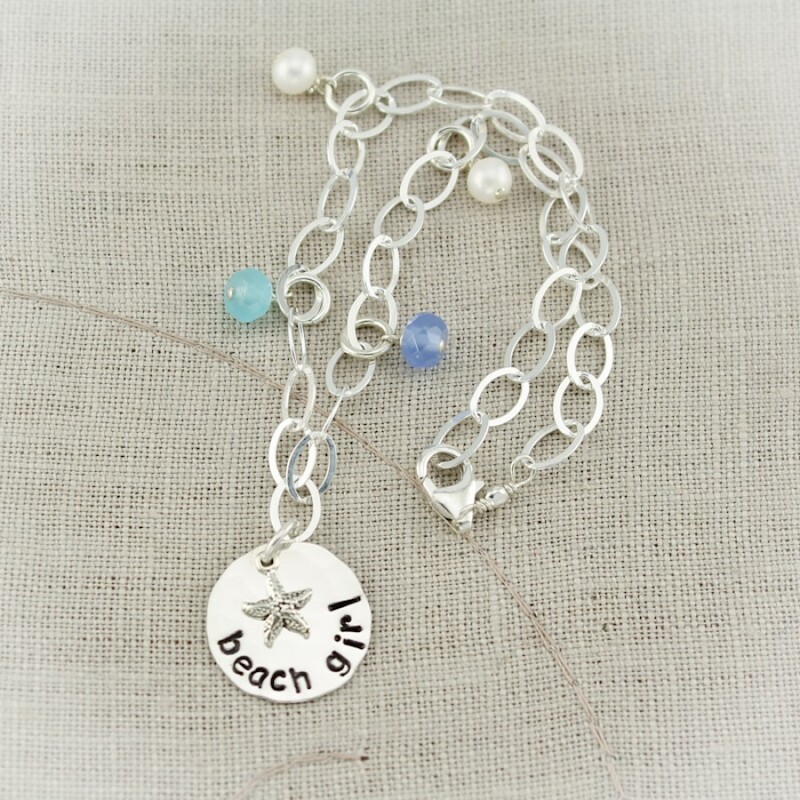 This bracelet brings the breezy ocean air to your senses as it dances around your wrist. 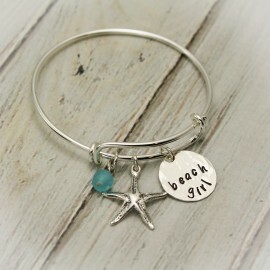 If you love the beach, like me, I love to surround myself with all things beachy. 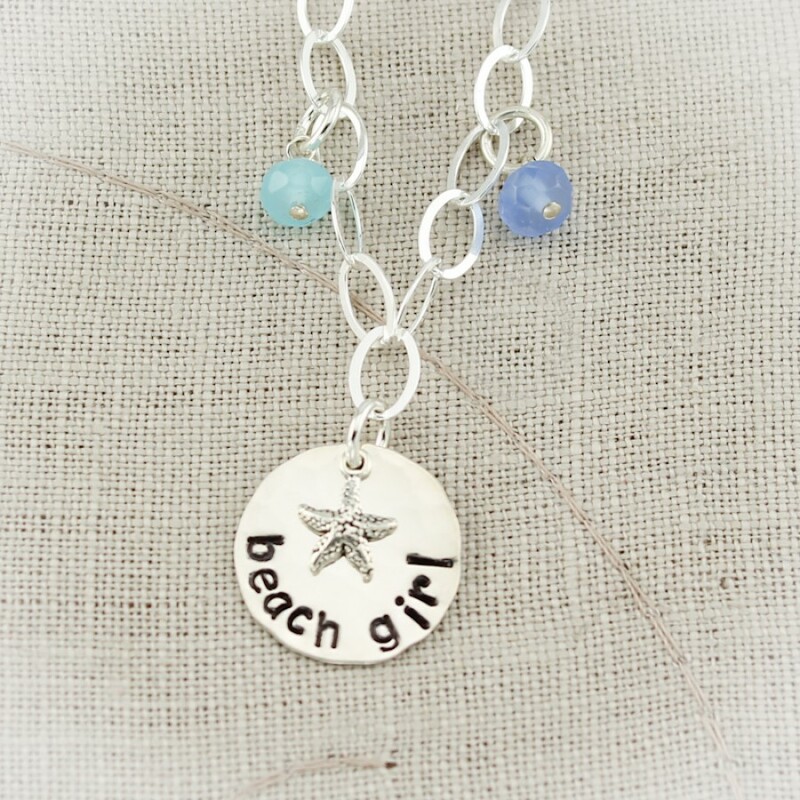 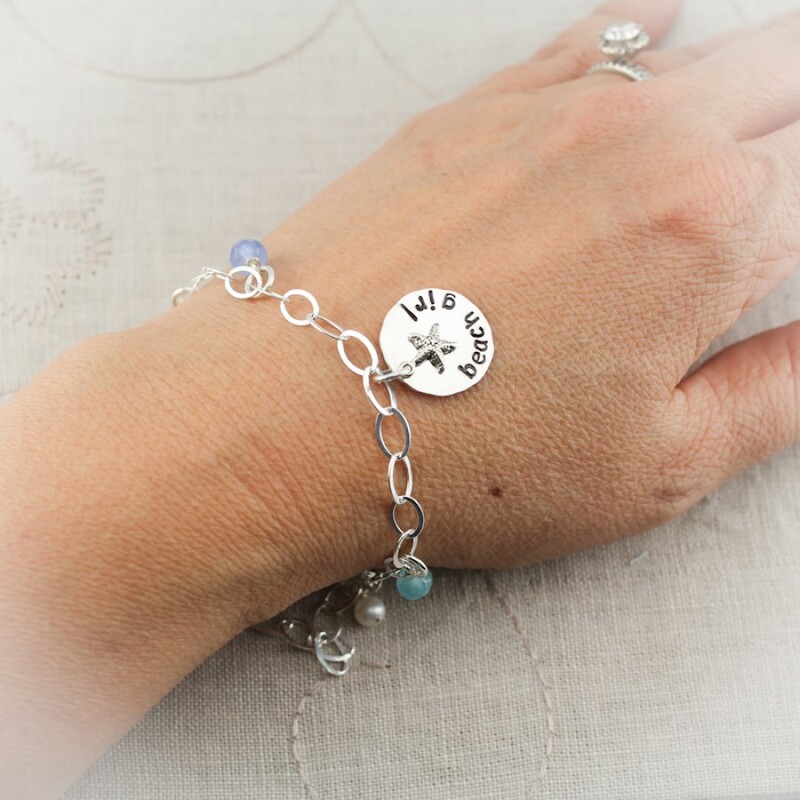 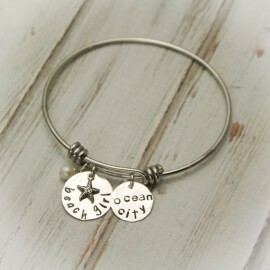 The perfect bracelet for all beach girls and beach lovers, a 5/8 inch sterling silver disc is personalized with name or words of your choice, adorned with a dainty sterling silver starfish charm (or charm of your choice). 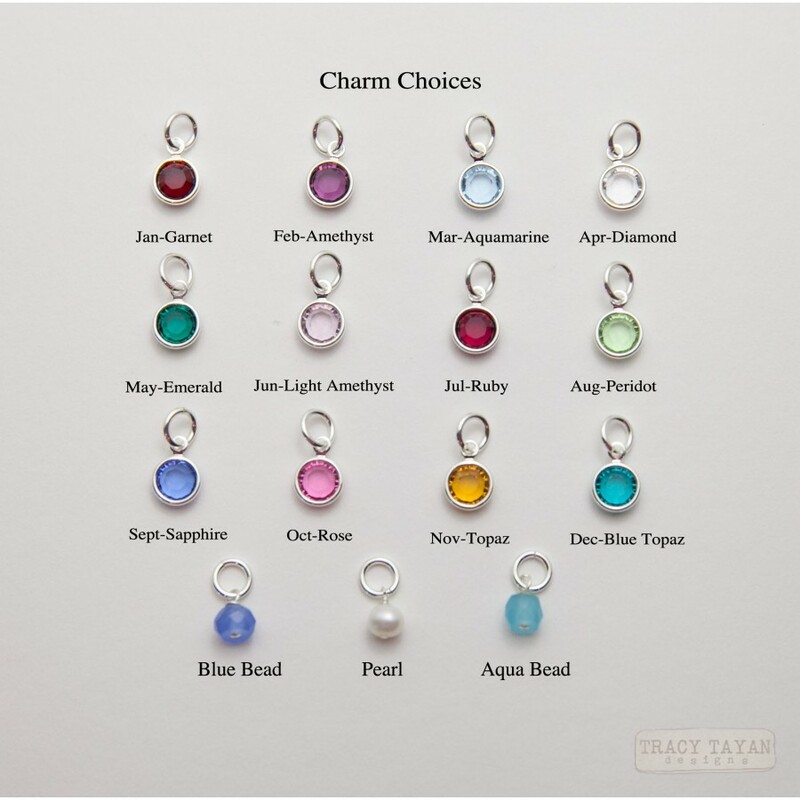 Sea glass rondelles and pearls dance around the sturdy sterling silver chain bracelet. 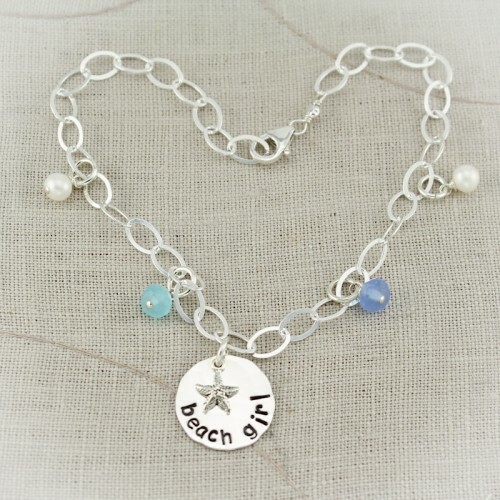 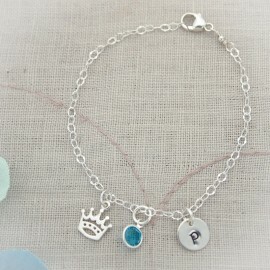 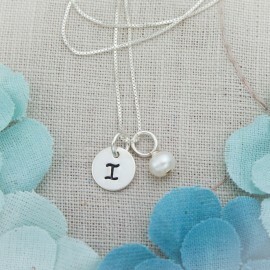 This would be an excellent bracelet for beach weddings.